"If anything ever touches My universal heart it is love. I have crossed the limited earthly oceans to bring to you all the limitless and shoreless Divine Ocean of Love." There are two basic ways that comic books are written. The first is full script (that’s where the writer lays out the whole story page by page, panel by panel, including camera-angles, captions and dialogue) and the other is plot-first (the writer creates a detailed plot outline which then goes to the artist. When the writer gets the pencilled pages back, he then adds the dialogue and captions). Both approaches have their strengths and I enjoy working either way. The challenge of a full script is that every element of the story is in your hands. You're in full control of the material. The challenge of plot-first, of course, is that you’re often surprised by what your artist does—and your scripting is directly influenced by it. Sometimes that’s a wonderful thing, sometimes not. There are some artists who can draw very well but have yet to master the art of visual storytelling—and it can be difficult (to say the least) trying to make up for their shortcomings via dialogue and captions. But when “Marvel style”—another popular name for the plot-first method—works, it’s magical. One of the most magical experiences I had was back in the 90’s when I was collaborating with the great Sal Buscema on Spectacular Spider-Man. Sal and I hit it off from the first panel of our first story and my admiration for him remains boundless. He can draw beautifully, he’s an impeccable visual storyteller and a total professional. Add to that the fact that Sal is a truly good person—I’d go so far as to use an old-fashioned word and call him a gentleman—and you can understand why I loved working with him. My plots were usually very tight—page by page, panel by panel, crammed with camera angles, psychological shading and rough-draft dialogue—but whatever was on the page, Sal was always able to take it to another level and do things that many other artists couldn’t. Case in point: Spectacular Spider-Man #200, which featured the death of Harry Osborn (who was then making no end of trouble as the Green Goblin). There was a sequence at the end of that story (perhaps my favorite out of all the Spider-Man tales I’ve written) where Harry, realizing that he loved Peter Parker too much to let him die, saves a drugged, weak Spidey from a death-trap. 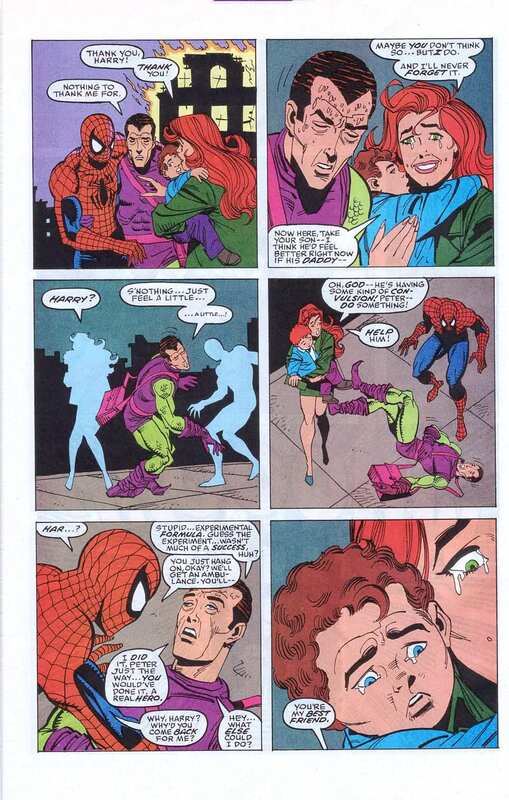 Peter, his wife Mary Jane and Harry’s son, Norman, all stand by, shocked and heartbroken, as Harry then collapses, overcome by the toxic Goblin formula. 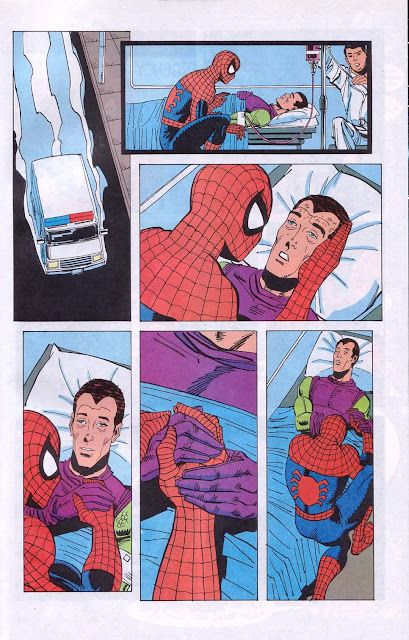 On the final two pages, Spidey accompanies Harry into an ambulance, they drive off and Harry passes away, leaving Peter Parker to his grief and memories. 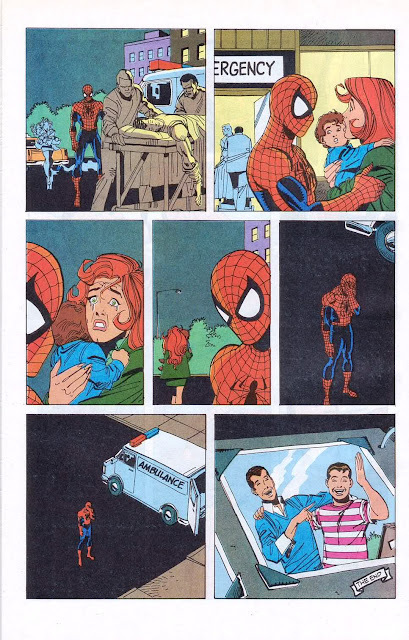 When the ambulance arrives at the hospital, it falls to Spider-Man to tell Mary Jane and Norman that Harry’s gone. They react, we cut to a photo of Peter and Harry in happier days...and the story ends. The sequence was small, quiet, but, on an emotional level, it was massive. Then Sal’s pages came in: It was one of his finest hours. The panel to panel flow was cinematic and crystal clear, the characters dramatic and achingly human. And those final two pages? Perfection! 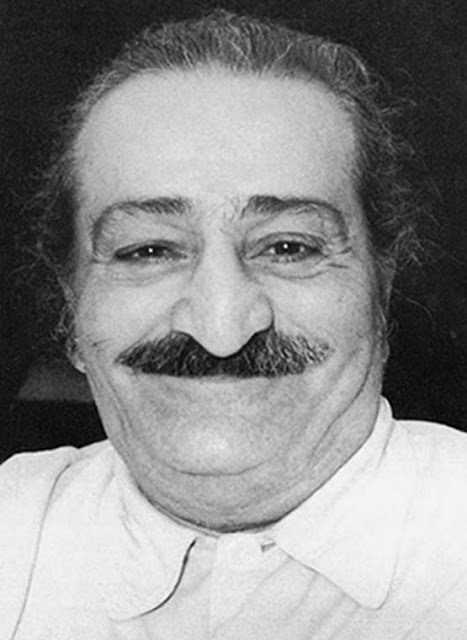 At first—locked into my original vision—I began writing captions and dialogue for the end-sequence, but it quickly became clear that everything I wanted to say had already been said, and better, by Sal. It was all there in the pictures. He had translated my plot so expertly that words would have capsized the sequence and destroyed the emotional power of the moment. So I shut my big mouth and let Harry Osborn die in silence, with his best friend by his side. That, too, is part of a writer’s work—especially in comics: deciding when to speak and when to shut up. Deciding whether to go for a barrage of machine-gun dialogue, a series of powerful captions or to surrender to equally-powerful silence. Whether we’re working full-script of plot-first, we make those decisions on every panel of every page. And it certainly helps the process when you’ve got an artist like Sal Buscema bringing your story to life. Take a look at the images below and you'll see what I mean. Looks like my fellow knuckleheads Keith Giffen and Kevin Maguire will be joining me at the Baltimore Comic-Con in September. The official press release is below. Hope you can make it: the Baltimore Con really is something special. BALTIMORE, MARYLAND - January 21, 2013 - The Baltimore Comic-Con is happy to announce the return of J.M. DeMatteis, Keith Giffen,and Kevin Maguire to this year's show, taking place the weekend of September 8-9, 2013 at the Baltimore Convention Center. Writer J.M. DeMatteis began his career in the late-'70s working on DC Comics' horror line of books. In 1980, he moved over to Marvel, where he worked on The Defenders and Captain America. Over the next 30 years, DeMatteis would write nearly every major character in both the DC and Marvel Universes, including Superman, Batman, Wonder Woman, Spider-Man, Silver Surfer, Daredevil, and Doctor Strange. DeMatteis is currently co-writing the Phantom Stranger along with Dan Didio for DC Comics. Keith Giffen is a writer/artist who has worked on such titles as OMAC, Nick Fury's Howling Commandos, T.H.U.N.D.E.R. Agents, and his creator-owned series, Hero Squared. Giffen is currently working on Threshold and the recently announced Masters of the Universe ongoing series for DC Comics. Artist Kevin Maguire, who has worked with both Giffen and DeMatteis on several books, began his a career in 1987. He has worked on such high-profile titles as Batman Confidential,Captain America, and X-Men, and he is currently working with Paul Levitz and George Perez on DC Comics' World's Finest, which stars the Huntress and Power Girl. DeMatteis, Giffen, and Maguire are well-known for their run on DC Comics' Justice League in the late '80s, which added a humorous brand of storytelling to the superhero team dynamic and brought a lighthearted tone with fantastic humor - something different in a comic landscape that was filled with "grim and gritty" books. "We couldn't be happier to have these three creators reuniting once again at this year's show," said Marc Nathan, show promoter of the Baltimore Comic-Con. "Their appearance together at the show in 2011 was a real treat to fans who attended the show and who attended their panel. Their work in comics in the late-'80s helped to lay the groundwork for many of today's modern characters." Giffen, DeMatteis, and Maguire join already announced guests: Mark Buckingham (Fables); Frank Cho (Savage Wolverine); Dave Gibbons (The Secret Service); Adam Hughes (Before Watchmen: Dr. Manhattan); Barry Kitson (Empire); Paul Levitz (World's Finest); Mike Mignola (Hellboy In Hell); George Perez (World's Finest); David Petersen (Mouse Guard); Chris Samnee (Daredevil); Louise Simonson (X-Factor); Walt Simonson (The Mighty Thor); Allison Sohn (sketch card artist); and Mark Waid (Indestructible Hulk). The other day, very reluctantly, we stripped the Christmas tree—it was like saying goodbye to an old and dear friend—and took down all the decorations around the house. It was time to surrender to the reality that the holidays were over and that 2013 had arrived, in all its newborn mystery. So I stand here at the window in early January, peering through morning mist at the year ahead, wondering what's in store. One thing I know is that I'll be doing some traveling: despite my mild Convention Phobia, I've signed on to be a guest at WonderCon at the end of March, Texas Comicon in June and the Baltimore Comic-Con in September. I've also got some more Imagination 101 writing workshops in the planning stages—including one at Modern Myths in Massachusetts and an online incarnation. And, of course, there's my primary business: storytelling. I'm busy wrapping up The Adventures of Augusta Wind (issue #3 is out today; we're hoping we can kick off another Augusta mini-series later in 2013), beginning my run co-writing (with DC head honcho Dan Didio) Phantom Stranger (my first issue of PS is also out today), getting ready to start work on The Edward Gloom Mysteries with the amazing Mike Ploog, looking forward to seeing the first of my Teen Titans Go! episodes hit Cartoon Network in the spring. As always, there are other fascinating projects brewing—in comics, TV, film and books—but I won't know till the year is farther along which will manifest and which will go back into the drawer, waiting for God's timing to be just right. I've learned, over the years—and it wasn't always an easy lesson—that His timing is much better than mine. And now—to work! I've got twelve brand-new months to fill up with stories!